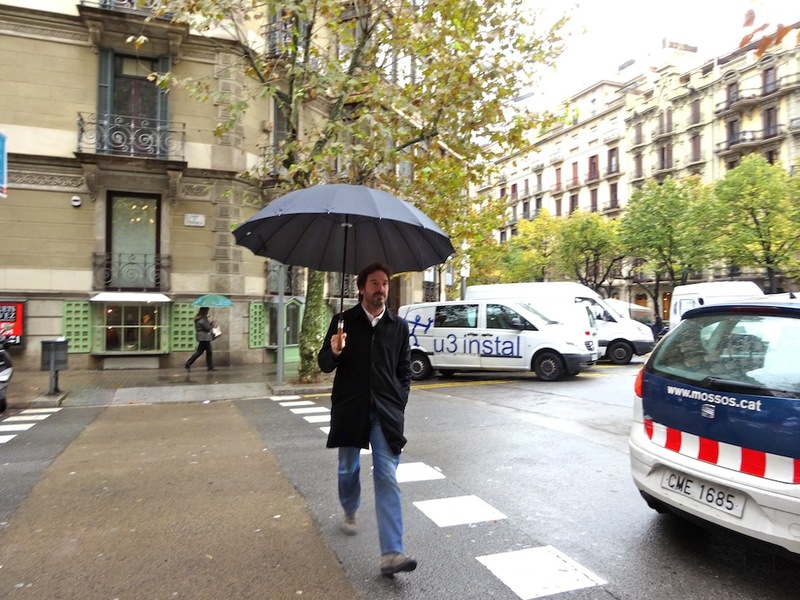 It seems that autumn has finally arrived to Barcelona and I enjoy it walking along Rambla Catalunya with Pablo Zea (Madrid, 1969). As we get closer to the office of his advertising agency, SantaMarta, he tells me about the process of creating an agency in the middle of the recession, his latest projects, how has been his personal relationship with Barcelona, how fatherhood has changed his way of being in the city and several other topics. Pablo belongs to the X generation, that group of people who were caught by the crisis during their professional splendor. It is a great inspiration to see how he has found, along with Fernando Codina, his partner, a way (simple, humble and tenacious, incredibly creative) to do what they like the most. In Colombia, Santa Marta is the patron saint of the impossible things, but theirs is now a reality. You were born in Madrid, when did you arrive to Barcelona and what did you think of it? Yes, my family lived in Ibiza, but I was born in Madrid basically because my mother went there to give birth. When I was two years old, we moved to Arenys de Mar (a town located in the Maresme region, within a 45 minute drive from Barcelona). I remember that I had occasionally been taken to the city and that by then, in order to get to the airport, we had to cross all the Calle Aragón (‘calle’ means street in Spanish), it seemed gigantic. Then, I moved here when I started University. And, aside from long periods in which I have lived abroad, since then, I’ve been in Barcelona; this is my city. As they say ‘no eres de dónde naces, sinó de dónde paces’ (‘you’re not from where you were born, but from where you graze’). How was the experience of settling in Barcelona in the late eighties for you? The combination of having left home and discovering the city from the perspective of a young man, it was a time of great discoveries: different neighborhoods, new friends, the teachings of a career that I really enjoyed, a fun and pleasant time. 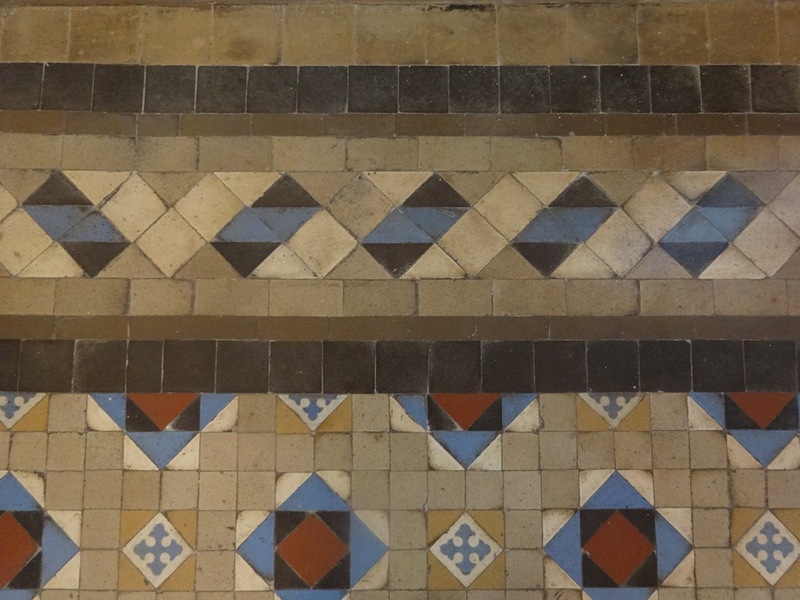 Also, each year I lived in a different flat, so I had the opportunity to experience several perspectives. When I finished my studies, I went to Ibiza to do my military service that by then it was still mandatory and when I came back to Barcelona I settled with my girlfriend in Calle Madrazo, in a small attic with a terrace that looked over the Galvany market. We lived there for two or three years, until we moved to Paris. And in Paris you lived for two more years, then later in your life you also lived in Amsterdam for two years and you have also travelled a lot. How is Barcelona perceived from the outside? From the outside you realize that Barcelona is always perceived in a very positive way. It is true that it is a balanced city and it is very pleasant to live here. It has services, the distances are manageable, there is a great gastronomic offer, art and culture, we have a certain ‘cosmopolitanism’ that attracts foreign people. Then, as a business center, besides tourism and new technologies, I do not think that it is a remarkable place currently. Within the business that I know that is advertising, when I started to work in the mid-1990s, Madrid and Barcelona were balanced, even in some moments Barcelona was producing more projects. Now here we are somehow stagnant, although it still maintains a great artistic portfolio and there are enormous talents related to advertising. But our industry follows business and business here is not going through best times. It is a pity that Barcelona has lost that ‘punch’. For many reasons: starting with the crisis and then, also for political reasons. For example, I believe in the theory that says that when the autonomous Government and City Hall belong to different parties, they created a tension between them that in the long term, does not generate any positive aspect for citizens. If they are both of the same party, this tension is not there anymore and it is easier to enter in a dynamic that will be more constructive and will create the energy that cities need in order to be competitive. Apart from this, there are many other explanations; we could be analyzing them for ages. Fernando Codina, your partner, and you embarked on the adventure of starting SantaMarta in 2009, how was the experience of launching a new agency in Barcelona and during the crisis? In 2006 I came back from Amsterdam and was delighted rediscovering the city. I had a good job in the company where I met Fernando. In 2009 when the crisis was already a fact, the company suffered the loss of an important client; this forced them to restructure all the staff. That restructuring affected us. Although it is true that we both had the idea of staring our own thing, we had worked together for more than two years and we had fallen -professionally- in love. So in this case, the crisis precipitated a process that would have happened anyway, only that perhaps later. We could say that we had the motivation and the reason was given to us at the right moment. We knew that it would be difficult, in it actually has been and it still continues to be so. But we also had a very clear idea of what we wanted to do, what kind of service we wanted to offer, what is our way of doing things. We knew we wanted to open our own business after so many years of working for other companies. Now, both Fernando and I don’t have salaries as high as those we had before, but we wouldn’t change SantaMarta for anything. 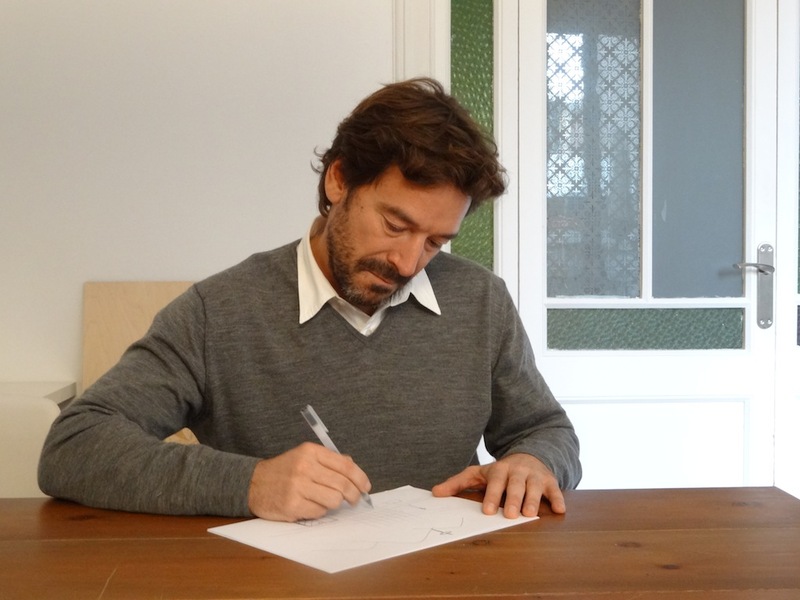 You started the agency in the Poblenou area and now you are in Calle Provenza with Rambla Catalunya. How has this change influenced your business? It has influenced us in a very positive way and this has gone against our original idea. We tried to be consistent with the fact that we wanted to do things differently and said that instead of seeking the typical flat of the Ensanche area, it would be more interesting if we went to an alternative location. We found a space in a former flour factory (La Farinera) in Poblenou; it was beautiful with its mezzanine and those high windows. It was all perfect on paper, but the reality is that it was not practical: we suffered floods, there were various services missing, when clients came to visit us, they couldn’t find a taxi when they left, my motorbike was stolen etc. 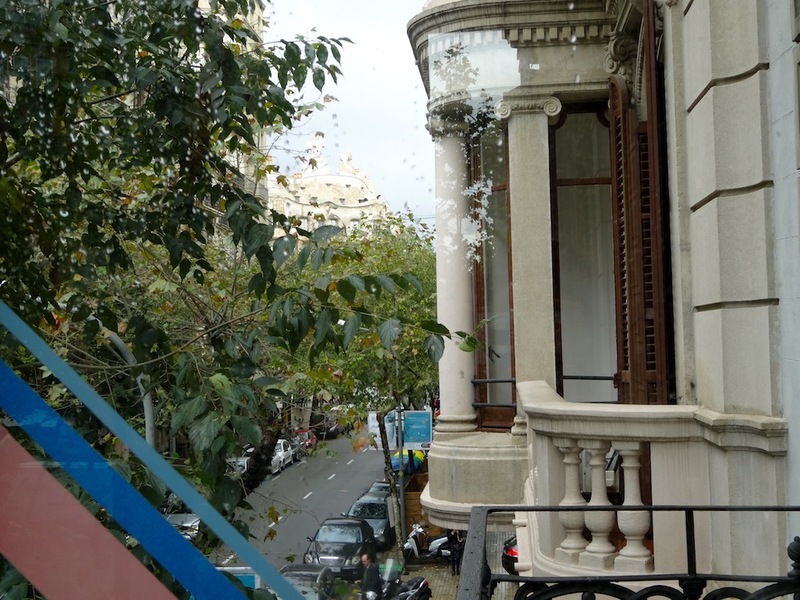 We finally decided to move to the Eixample, where we oddly pay less per square meter, it is easier for clients to find us and we can walk from home. Yes, we are in the typical flat of the Ensanche area and, for us, it is all advantages. Could you please explain the way of doing things differently that you just mentioned? Well, it would be a little pretentious to say that our intention was to create a new kind of Agency. Although we defend the need to work on what you like and what Fernando and I have in common is that we both love what we do. We wanted to avoid the stereotypes that have been created within the world of advertising as, for example, the rivalry between departments in agencies, the idea that customers don’t know what they want, or the concept that as someone who has already reached a high level position, there are certain things you can not do after that… I have no problem if at a given moment, I have to sweep, to pick up the phone or roll up my sleeves and do whatever needs to be done. Advertising has created some characters, processes and ‘farandulas’ (like sector celebrities) that have been creating a bubble that does not really contribute too much to the business. In this sense Fernando and I are very ordinary guys (which does not mean that we are boring), but we are working hard and we just appreciate love and respect for a well-done job. The reward that we have from doing this goes far beyond the monetary. I would like to know about the project that you have done for the Foundation of deaf-blind? A friend called me saying that he collaborated with the FESOCE (Spanish Federation of the deaf blind), an association of people who are deaf and blind at the same time, and he suggested that we should do something to help them, to give them more visibility. We went to meet them and after talking for three hours, we decided that we, indeed, had to do something. That idea was transformed into an audiovisual piece that we’ve rolled together with the producing house Agosto that joined the project with great enthusiasm. In fact, I have to thank the executive producer Rafa Montilla and the filmmaker Mireia Pujol for the fantastic job they have done. Then we also had Néstor Verde who designed a web page for them and through Marina Portabella we were able to present our project to the media in the venue Luz de Gas. It is all about helping people to know that this collective exists and to be able to contribute as much as possible in order to help others. I agree. And if Barcelona were a product, which in some ways it is, what sort of campaign would you come up with? It is very hard to give you an idea without carefully studying the case before. Also I am aware that the Town Hall has an entire Department dedicated to promote the Barcelona brand and they are doing a great job because it is now very well positioned. Many brands are now using Barcelona as part of their own brand. That gives prestige to the city, its name gets to be known around the world. Now that you’ve raised this question, actually, a few ideas are coming to my head… We would love to create a campaign to promote Barcelona! You have been father for three or four years, how has this changed your way of living in the city? Now each weekend is a challenge to find plans for my daughter. That’s fantastic because you suddenly discover things that you didn’t know that existed. For example, in the Park of the Oreneta, there is a service of ponies that you can rent for a while and there is also a miniature train. There are the puppets of the Born, the Jove teatre Regina in Gracia. In fact, you get familiar with all the program of children’s shows. Then you go back to places such as the ‘merendero’ (picnic area) of Can Marti, near Collserola and you rediscover the Zoo or the Aquarium. Soon we will be going to the Tibidabo fun fair. And one of the things where we often go now is to the beach. Many locals, especially from the upper areas, don’t go to the beach in Barcelona and we have such great beaches here. Lately we’ve been going with friends who have other children and we all go there to build castles in the sand. You just draw a great map of Barcelona for kids, how was your map before your daughter was born? (Laughs) I almost do not remember… Before I liked going to run to the Carretera de les Aigües and, well, I had much more of a social life and knew all the bars, the restaurants. I used to frequent the old town, but the area has changed a lot in recent years, now it is more secure, easier. I liked it when it was closed, underground, ‘canalla’ (rough)… I also had the habit of going everywhere on my motorbike; Barcelona is a great city for motorcycling. Since I have become a father, I do not use it anymore, but sometimes I cycle. The city is also fine for bikes although there are too few bike lanes and I just do not feel entirely safe cycling around certain areas. I would take the space from the cars, and yield it to cyclists. That’s one of the things that could still be improved here. To finish Pablo, what else do you think that could be improved in Barcelona? You can visit SantaMarta here. Parece que por fin ha llegado el otoño a Barcelona y lo disfruto paseando por Rambla Catalunya con Pablo Zea (Madrid, 1969). Mientras nos acercamos al despacho de su agencia de publicad, SantaMarta, me habla de cómo ha sido el proceso de crear una agencia en plena recesión, de sus últimos proyectos, de cómo ha sido su relación personal con Barcelona, cómo la paternidad ha cambiado su manera de estar en la ciudad y varios otros temas. Pablo pertenece a la generación X, ese grupo de gente a quién la crisis ha pillado en pleno esplendor profesional. Es una gran inspiración ver cómo ha encontrado, junto a Fernando Codina, su socio, la manera, (simple, humilde y tenaz, increíblemente creativa) de seguir haciendo aquello que más les gusta. En Colombia Santa Marta es la patrona de los imposibles, pero lo suyo ya es una realidad. Naciste en Madrid. ¿Cuándo llegaste a Barcelona y qué te pareció? Sí, mi familia vivía en Ibiza, pero nací en Madrid básicamente porque mi madre fue allí a dar a luz. Cuando tenía cinco años nos trasladamos a Arenys de Mar. Recuerdo que me habían llevado ocasionalmente a Barcelona y que para ir hasta el aeropuerto había que cruzar la ciudad por toda la calle Aragón que me parecía gigantesca. Luego, me mudé aquí cuando empecé la Universidad. Y, a parte de temporadas largas en las que he vivido fuera, desde entonces siempre he estado en Barcelona, esta es mi ciudad. Como dicen ‘no eres de donde naces, sino de donde paces’. ¿Cómo fue para ti venir a instalarte en Barcelona a finales de los ochenta? La combinación de marcharme de casa y luego de descubrir la ciudad desde la perspectiva de un joven que acaba de estrenar su mayoría de edad. Una época de grandes descubrimientos: los distintos barrios, nuevos amigos, las enseñanzas de la carrera que me gustaron mucho, una época muy divertida y entrañable. Además viví cada año en un piso distinto así que tuve la oportunidad de conocer varias perspectivas. Cuando terminé de estudiar, me fui a Ibiza para hacer el servicio militar que entonces aún era obligatorio y luego ya me instalé con mi pareja en la Calle Madrazo, en un ático con una terraza que caía sobre el Mercado de Galvany. Allí estuve unos dos o tres años, hasta que nos mudamos a París. Y en París vivisteis dos años, luego más tarde en tu vida también estuviste dos años más en Amsterdam y también has viajado mucho. ¿Cómo se percibe Barcelona desde fuera? Desde fuera te das cuenta de que Barcelona siempre se percibe de una forma muy positiva. Es cierto que es una ciudad equilibrada y que es muy agradable vivir aquí. Tiene servicios, las distancias son manejables, hay una gran oferta gastronómica, arte y cultura, tenemos un cierto ‘cosmopolitismo’ que atrae a gente de fuera, (aunque esta diversidad es un poco un mito pues hay zonas que no tienen nada de cosmopolita). Luego, como centro de negocio, más allá del turismo y de las nuevas tecnologías, en estos momentos no creo que destaque. Dentro del negocio que conozco que es el publicitario, cuando empecé a trabajar a mediados de los noventa, Madrid y Barcelona estaban más equilibradas, incluso en algunos momentos en Barcelona salían aún más proyectos. Ahora aquí estamos más estancados, aunque se sigue manteniendo una gran cartera artística y tenemos enormes talentos relacionados con la publicidad. Pero nuestro sector sigue al negocio y aquí el negocio no está pasando por su mejor época. Es una lástima que Barcelona haya perdido ese ‘punch’. ¿Por qué crees que ha sucedido esto? Por muchos factores, para empezar está la crisis y luego también por razones políticas. Por ejemplo, creo en la teoría que dice cuando el Gobierno Autonómico y el Ayuntamiento pertenecen a partidos distintos, se crea una tensión entre ellos que puede acabar no siendo beneficiosa para los ciudadanos. Si son del mismo partido, esta tensión no existe y se entra en una dinámica algo más constructiva, dándose la energía que toda ciudad necesita para ser competitiva. A parte de ésto, hay muchas otras explicaciones, podríamos estar analizándolas hasta mañana. Fernando Codina, tu socio y tu os lanzasteis a la aventura de abrir SantaMarta en el 2009, ¿cómo fue la experiencia de lanzar una nueva agencia en Barcelona y en plena crisis? En 2006 volví de Amsterdam y estaba encantado redescubriendo la ciudad, con un buen trabajo en la empresa donde conocí a Fernando. Hasta que en 2009 la crisis ya era un hecho y esa empresa sufrió la pérdida de un cliente muy importante por lo que decidieron reestructurar la plantilla. Esa reestructuración nos afectó. Aunque es cierto que hacía tiempo que los dos teníamos el gusanillo de crear algo nuestro y hacía ya más de dos años que trabajábamos juntos y nos habíamos enamorado profesionalmente. Así que en este caso, la crisis precipitó un proceso que también se hubiera acabado dando aunque quizás más tarde. Podríamos decir que teníamos la motivación y nos pusieron en bandeja el motivo. Sabíamos que sería difícil, lo ha sido y lo sigue siendo. Pero también teníamos muy claro cuál era la propuesta, qué tipo de servicio queríamos ofrecer y cuál es nuestra forma de hacer las cosas. Teníamos claro que queríamos abrir nuestro propio negocio después de estar tantos años trabajando para otras empresas. Ahora, tanto Fernando como yo, no tenemos sueldos como los que habíamos tenido antes, pero no cambiaríamos SantaMarta por nada. Empezasteis la agencia en Poblenou y ahora estáis en Provenza con Rambla Catalunya. ¿Cómo ha influido este cambio en el negocio? Ha influido de una forma muy positiva. Esto ha ido en contra de nuestra idea inicial. Intentamos ser consecuentes con el hecho de que teníamos de hacer las cosas de forma distinta y dijimos que en lugar de buscar el típico piso del Ensanche, sería más interesante que nos fuéramos a un sitio más alternativo. Encontramos un espacio en una antigua fábrica de harinas (La Farinera) en el Poblenou, era un local precioso con un altillo y unos ventanales altos. Sobre el papel era perfecto, pero la realidad es que no era práctico: sufrimos inundaciones, faltaban servicios, venían a vernos clientes y cuando se marchaban no podían encontrar un taxi, me robaron la moto, etc. Al final nos mudamos aquí al Eixample, donde aunque parezca mentira pagando menos el metro cuadrado y a los clientes les es más fácil encontrarnos, podemos ir andando desde casa. Sí, estamos en el típico piso del Ensanche y, para nosotros, son todo ventajas. ¿Cuál es esta forma distinta de hacer las cosas que acabas de mencionar? Bueno, sería un poco pretencioso decir que nuestra intención era crear un nuevo tipo de agencia. Aunque nosotros somos defensores de que hay que trabajar en lo que te gusta y lo que tenemos en común Fernando y yo es que nos gusta mucho lo que hacemos. Queríamos huir de los estereotipos que se han creado dentro del mundo de la publicidad como por ejemplo la rivalidad entre departamentos de las agencias, la idea de que los clientes no saben lo que quieren o la concepción de que como alguien que ya ha accedido a determinados puestos laborales, hay ciertas cosas que ya no se pueden hacer… No tengo ningún problema para barrer en un momento dado, coger el teléfono o arremangarme y hacer lo que haya que hacer. La publicidad ha creado personajes, procesos y farándulas que han ido creando una burbuja que no nos aporta gran cosa. En ese sentido Fernando y yo somos tipos muy normales y corrientes (que no significa que seamos aburridos), pero estamos trabajando duro y justamente valoramos ese amor y ese respeto por el trabajo bien hecho. La recompensa que tenemos por hacer este trabajo va mucho más allá de lo monetario. ¿Me podrías hablar del proyecto que habéis hecho para la fundación de sordo ciegos? Un amigo me llamó diciendo que colaboraba con la FESOCE (Federación Española de Sordo Ciegos), que son gente sorda y ciega al mismo tiempo y nos propuso hacer algo para ayudarles, para darles más visibilidad. Fuimos a conocerles y después de hablar con ellos durante tres horas, decidimos que, efectivamente, había que hacer algo. Eso se transformó en una pieza audiovisual que hemos rodado junto con la productora Agosto que se sumó al proyecto con mucha ilusión. De hecho tengo que agradecer al productor ejecutivo Rafa Montilla y a la realizadora Mireia Pujol por el trabajo fantástico que han hecho. Luego liamos a Néstor Verde para que hiciese la web y conseguimos a través de Marina Portabella que nos cedieran la sala Luz de Gas para hacer la presentación a los medios. Se trata de que la gente sepa que existe este colectivo y de poder aportar lo máximo para poder ayudar a los demás. Estoy de acuerdo. Y si Barcelona fuera un producto, que en cierta manera ya lo es, ¿qué tipo de campaña propondrías? Es muy difícil, hacer una propuesta concreta sin estudiarlo bien antes. Además me consta que el Ayuntamiento tiene un departamento entero que se dedica a promocionar la marca Barcelona y han hecho un trabajo estupendo porque está muy bien posicionada. Ahora muchas marcas utilizan Barcelona como parte de su marca. Eso da prestigio a la ciudad y hace que el nombre suene a nivel mundial. Ahora que me has hecho esta pregunta, se me ocurren algunas ideas… ¡Nos encantaría hacer una campaña para promocionar Barcelona! Hace pocos años que has sido padre, ¿cómo ha cambiado ésto tu manera de vivir en la ciudad? Ahora los fines de semana se plantean como un reto para encontrar planes para mi hija. Eso es fantástico porque de repente descubres cosas que ni sabías que existían. Por ejemplo, que en el Parc de la Oreneta, hay un servicio de ponis que puedes alquilar durante un a rato o un tren miniatura. También están las Titelles del Born, el Jove Teatre Regina, de hecho te familiarizas con toda la programación de espectáculos infantiles. Luego, vuelves a ir a sitios como el merendero de Can Martí y redescubres el Zoo o el Aquarium. Dentro de poco me tocará ir al Tibidabo. Y una de las cosas donde vamos a menudo ahora es a la playa. Muchos barceloneses, sobretodo de la zona alta, no van a la playa en Barcelona y tenemos unas playas magníficas aquí. Últimamente quedamos mucho con amigos que tienen otros niños y vamos a hacer castillos en la arena. Me acabas de dibujar un estupendo mapa de Barcelona para niños, ¿cómo era tu mapa antes de tener a tu hija? (Risas) Casi ya ni me acuerdo… Antes me gustaba mucho ir a correr a la Carretera de las Aguas y, bueno, tenía mucha más vida social y conocía todos los bares, los restaurantes. Solía frecuentar el Casco Antiguo, pero esa zona ha cambiado mucho en los últimos años, ahora es más segura, más fácil. 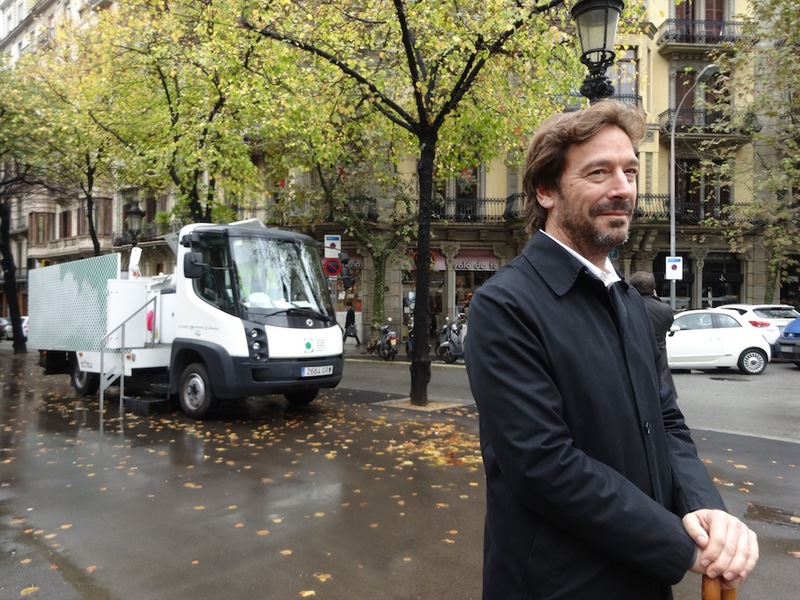 A mi me gustaba cuando era un lugar cerrado, underground, canalla… También tenía la costumbre de ir en moto a todas partes, Barcelona es una ciudad estupenda para desplazarse en este medio de transporte. Desde que soy padre ya no lo uso, pero sí voy en bicicleta algunas veces. La ciudad en bicicleta también está muy bien aunque hay pocos carriles ciclistas habilitados y no me acabo de sentir del todo seguro por según que zonas. Yo sacaría el espacio de los coches, para cederlo a los ciclistas. Eso es alguna de las cosas que aún se podría mejorar. Para terminar Pablo, ¿qué más crees que se podría mejorar en Barcelona? La página web de SantaMarta se puede visitar aquí. Sembla que la tardor finalment ha arribat a Barcelona i la gaudeixo passejant per la rambla de Catalunya amb el Pablo Zea (Madrid, 1969). Mentre ens apropem a l’oficina de la seva agència de publicitat, SantaMarta, em parla de com ha estat el procés de crear una agència en plena recessió, dels seus darrers projectes, de quina ha estat la seva relació personal amb Barcelona, de com la paternitat ha canviat la seva manera de ser amb la ciutat i d’altres temes. En Pablo pertany a la Generació X, aquell grup de persones a qui la crisi ha enganxat en plena esplendor professional. És una gran inspiració veure com ha trobat, juntament amb el Fernando Codina, el seu soci, la manera (senzilla, humil, tenaç i increïblement creativa) de seguir fent allò que més li agrada. A Colòmbia, santa Marta és la patrona dels impossibles, però el que ells fan ja és una realitat. Vas néixer a Madrid. Quan vas arribar a Barcelona i què et va semblar? Sí, la meva família vivia a Eivissa però vaig néixer a Madrid, bàsicament perquè la meva mare va anar allà per donar a llum. Quan tenia cinc anys ens vam traslladar a Arenys de Mar. Recordo que m’havien portat a Barcelona en determinades ocasions, i que per anar fins a l’aeroport s’havia de creuar tota la ciutat pel carrer d’Aragó; tot semblava gegantí. Llavors, em vaig traslladar aquí quan vaig començar la universitat. I, a part de llargs períodes en els quals he viscut a l’estranger, des d’aleshores sempre he estat a Barcelona; aquesta és la meva ciutat. Com diuen en castellà, «no eres de donde naces, sinó de donde paces». Com va ser l’experiència d’establir-se a Barcelona a finals dels anys vuitanta? Va ser la combinació d’haver marxat de casa i després descobrir la ciutat des de la perspectiva d’un noi jove que acaba d’estrenar la seva majoria d’edat. Un moment de grans descobriments: diferents barris, nous amics, els ensenyaments de la carrera, que em va agradar molt… Una època molt divertida i agradable. A més a més, vaig viure cada any en un pis diferent, i això em va donar l’oportunitat de conèixer diverses perspectives. Quan vaig acabar els meus estudis vaig anar a Eivissa per fer el servei militar, que llavors encara era obligatori, i quan vaig tornar a Barcelona em vaig instal·lar amb la meva parella en un àtic al carrer de Madrazo, la terrassa del qual queia sobre el mercat de Galvany. Allà hi vam viure dos o tres anys fins que vam marxar a viure a París. A París hi vas viure dos anys i, més tard, vas viure a Amsterdam durant dos anys també. A més, has viatjat molt. Com es percep Barcelona des de fora? Des de fora t’adones que Barcelona sempre és percebuda d’una manera molt positiva. És cert que és una ciutat equilibrada i molt agradable per viure-hi. Disposa de serveis, les distàncies són fàcils de gestionar, hi ha una gran oferta gastronòmica, d’art i de cultura i tenim un cert cosmopolitisme que atreu gent de fora (encara que aquesta diversitat és una mica un mite, perquè hi ha zones que no tenen res de cosmopolita). Després, com a centre de negocis, més enllà del turisme i les noves tecnologies, actualment no crec que destaqui. Dins del negoci que conec, que és la publicitat, quan vaig començar a treballar a mitjans dels anys noranta, Madrid i Barcelona estaven molt equilibrades. Fins i tot en alguns moments a Barcelona hi van sortir encara més projectes. Ara aquí estem més estancats, tot i que encara es manté una gran cartera artística i hi ha un enorme talent relacionat amb la publicitat. Però la nostra indústria ha de seguir en el negoci, i aquí el negoci no està passant per la seva millor època. És una llàstima que Barcelona hagi perdut aquesta força. Per què creus que ha passat, això? Per molts factors. Per començar hi ha la crisi, i després per motius polítics. Per exemple, jo crec en la teoria que diu que quan la Generalitat i l’Ajuntament pertanyen a diferents partits, es crea una tensió entre ells que pot acabar no sent beneficiosa per als ciutadans. Si són del mateix partit, aquesta tensió no existeix i es crea una dinàmica una mica més constructiva que pot aportar l’energia que tota ciutat necessita per ser competitiva. A més, hi ha moltes altres explicacions; podríem estar analitzant aquest tema fins demà. Amb el Fernando Codina, el teu soci, us vau llançar a l’aventura d’obrir SantaMarta l’any 2009. Com va ser l’experiència de llançar una nova agència a Barcelona i en plena crisi? Bé, el 2006 vaig tornar d’Amsterdam i estava encantat de redescobrir la meva ciutat. Tenia una bona feina a l’empresa on vaig conèixer el Fernando. Fins que la crisi, que ja era un fet l’any 2009, va patir la pèrdua d’un important client i va haver de fer una reestructuració de la plantilla. Això ens va afectar. Encara que és cert que ja feia temps que teníem la inquietud de crear alguna cosa per la nostra banda, ja feia més de dos anys que treballàvem junts i ens havíem enamorat professionalment. Així que, en aquest cas, la crisi va precipitar un procés que també hauria acabat sorgint, però potser més tard. Podríem dir que teníem la motivació i que ens van posar el motiu en una safata. Sabíem que seria difícil, ho ha estat i continua sent-ho. Però també teníem molt clar quina era la nostra proposta, quin tipus de servei volíem oferir i quina era la nostra manera de fer les coses. Sabíem que volíem obrir el nostre propi negoci després de tants anys treballant en altres empreses. Ara, tant el Fernando com jo tenim sous més baixos que els que havíem tingut abans, però no voldríem canviar SantaMarta per res. Vau començar treballant al Poblenou i ara esteu situats al carrer de Provença amb la rambla de Catalunya. Com ha influït aquest canvi en el vostre negoci? Hi ha influït d’una manera positiva. I això ha anat en contra de la nostra idea original. Vam intentar ser coherents amb la idea que teníem de fer les coses de manera diferent i per això vam decidir que, en comptes de buscar el típic pis de l’Eixample, seria més interessant anar a un lloc alternatiu. Vam trobar un espai en una antiga fàbrica de farines (La Farinera) al Poblenou; era una bonica sala amb un entresolat i uns grans finestrals. Era perfecte sobre el paper, però la realitat és que no era pràctica: vam patir inundacions, faltaven serveis, venien clients a visitar-nos i quan marxaven mai no podien trobar un taxi, em van robar la moto… Al final hem vingut aquí, a l’Eixample, on curiosament paguem menys per metre quadrat, als clients els és més fàcil trobar-nos i podem venir caminant des de casa. Sí, estem en el típic pis de l’Eixample i, per a nosaltres, tot són avantatges. En què consisteix aquesta manera diferent de fer les coses que em comentaves? Bé, seria una mica pretensiós dir que la nostra intenció era crear un nou tipus d’agència. Tot i que defensem que s’ha de treballar en el que t’agrada i el Fernando i jo tenim en comú que estimem molt el que fem, hem volgut fugir dels estereotips que s’han creat dins del món de la publicitat com, per exemple, la rivalitat entre els departaments de les agències, la idea que els clients no saben el que volen, o el fet que com que algú ha estat en determinats llocs de treball, hi ha certes coses que ja no pot fer… Jo no tinc cap problema a escombrar o a contestar el telèfon o a fer el que s’hagi de fer. En el món de la publicitat s’han creat personatges, processos i faràndules que han estat inflant una bombolla que no ens aporta gaire. En aquest sentit, el Fernando i jo som tipus molt corrents (que no vol dir que siguem avorrits), però estem treballant dur, i justament el que valorem és aquest amor i respecte cap a la feina ben feta. La recompensa que tenim per fer aquesta feina va molt més enllà del que és material. Podries parlar-me del projecte que heu realitzat per a persones sordcegues? Un amic em va trucar i em va explicar que havia col·laborat amb la FESOCE (Federació Espanyola de Sordceguesa), formada per persones sordes i cegues al mateix temps, i va suggerir que potser podríem fer alguna cosa per ajudar-los, per donar-los més visibilitat. Els vam anar a conèixer, i després de parlar amb ells durant tres hores, vam decidir que hi havíem de fer alguna cosa. Aquesta cosa es va transformar en una peça audiovisual que hem rodat juntament amb la productora Agosto, que es va unir al projecte amb gran entusiasme. De fet, he d’agrair al productor executiu Rafa Montilla i a la realitzadora Mireia Pujol el fantàstic treball que han fet. Llavors vam embolicar el nostre amic Néstor Verde perquè fes el web i vam aconseguir, a través de la Marina Portabella, que ens cedissin la sala Luz de Gas per fer la presentació als mitjans de comunicació. Es tracta que la gent sàpiga que existeix aquest col·lectiu i poder aportar el màxim per ajudar els altres. Hi estic d’acord. I si Barcelona fos un producte, que en certa manera ho és, quina mena de campanya proposaries per promocionar-la? Això és molt difícil, no puc fer una proposta concreta sense haver estudiat bé el tema abans. A part, em consta que l’Ajuntament té tot un departament dedicat a promoure la marca Barcelona i han fet una gran feina, ja que la ciutat està molt ben posicionada. Moltes marques l’estan utilitzant ara com a part de la seva marca. Això dóna prestigi a la ciutat i fa que soni arreu del món. Ara que m’has fet aquesta pregunta em vénen al cap algunes idees… Ens encantaria crear una campanya per promoure Barcelona! Fa pocs anys que has estat pare, com ha canviat aquest fet la teva manera de viure a la ciutat? Ara els caps de setmana es presenten com un repte per trobar plans per a la meva filla. Això és fantàstic, perquè de sobte descobreixes coses que tu tampoc no sabies que existien. Per exemple, al parc de l’Oreneta hi ha un servei de ponis que es poden llogar per un temps i un tren en miniatura. També hi ha els titelles del Born, el Jove Teatre Regina… De fet, t’acabes familiaritzant amb tota la programació d’espectacles infantils. Llavors tornes a anar a llocs com ara el berenador de Can Martí i redescobreixes el Zoo o l’Aquàrium, i aviat em tocarà anar al Tibidabo. I un dels llocs a on sovint anem ara és a la platja. Molts barcelonins, especialment de la Zona Alta, no van mai a la platja de Barcelona, i les tenim grans i magnífiques aquí mateix. Últimament hi anem molt amb amics que tenen nens i construïm castells a la sorra. M’acabes de dibuixar un fantàstic mapa de Barcelona per a nens. Com era el teu mapa abans de tenir la teva filla? (Riu). Gairebé no ho recordo… Abans m’agradava anar a córrer a la carretera de les Aigües i, bé, tenia molta més vida social i coneixia tots els bars i restaurants. Jo solia freqüentar el Casc Antic, però la zona ha canviat molt en els darrers anys; ara és més segura, més fàcil. A mi m’agradava quan era un lloc més tancat, underground i canalla… També tenia el costum d’anar en moto a tot arreu; Barcelona és una ciutat ideal per a aquest mitjà de transport. Des que sóc pare ja no l’utilitzo, però sí que de vegades vaig en bicicleta. La ciutat en bicicleta també està molt bé, encara que hi ha pocs carrils bici habilitats, i en segons quines zones no em sento del tot segur. S’hauria d’aprofitar l’espai per als cotxes i cedir-lo als ciclistes. Aquesta és una de les coses que encara es podrien millorar. Per acabar, Pablo, què més creus que es podria millorar a Barcelona? Podeu visitar la web de SantaMarta aquí.